Congratulations on completing your book. For many people this is the achievement of a lifetime. More importantly, it is an achievement that required a significant investment of time. Whether your book took you months or years to complete, this is not the end of the road. It is in fact just the beginning. Because you will find out in short order that writing a book is one thing, promoting and selling your book is another. Most authors are well-equipped to write a book. The problem is that unless their book is picked up by a major publishing house, they are woefully ill-prepared to promote their book. That's why the average book on Amazon only sells somewhere in the neighborhood of 250 copies. Sure there are some authors who sell thousands or even millions of copies. But those are few and far between. Many of those that reach the ranks of bestseller are backed by major publishing houses that have an army of editors, bloggers and publicists to help them get the word out. But as I pointed out in my previous blog, "Read Any Good Books Lately" there have been a number of self-published authors that have sold more than 1 million books. So what differentiates the successful authors from the rest of the herd? Research and marketing. Every single self-published author that has cracked the million copy mark spent as much or more time researching and marketing their books than they did writing them. The reality of the matter is that if you want to achieve bestseller status you have to think of your book as a business. Unlike the fiction that says if you create a better mousetrap the world will beat a path to your door, anyone that sells mousetraps or any other product or service realizes that having a superior product doesn't matter a damn if you don't find a way to tell the world about it. 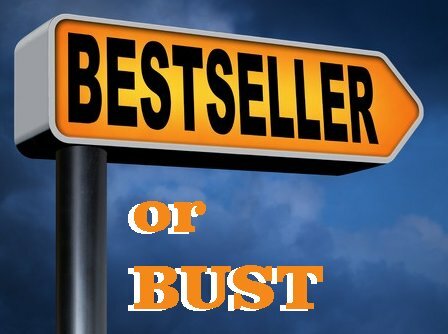 So why do most authors think that the business of book selling is any different. John Locke, who was the first author to sell 1,000,000 copies of his books didn't just fall out of the sky. He spent a ton of time and money promoting his books. I know this because I read his book, "How I Sold 1 Million eBooks in 5 Months." Among other tidbits, John details the meticulous planning and execution that saw him publish 4 titles simultaneously, then follow publication up with an online media blitz that included blogs, social networking and interviews. He also encourages readers to email him. (All the better to create a mailing list.) John Locke has become so successful a bookseller that he turns down offers from major publishing houses so he can retain complete control of the publishing process. Unless you are merely publishing a book for bragging rights, you need to take a tip from John Locke as well as from businesses large and small. If you want to sell anything, you need 3 things: Marketing, Advertising, and Publicity. Fortunately for modern authors, especially those that publish eBooks, there are a number of no-cost and low cost solutions to all three of the above. Where generating a page 1 result on a search engine used to be a snap, in the last few years it has become exceedingly difficult. 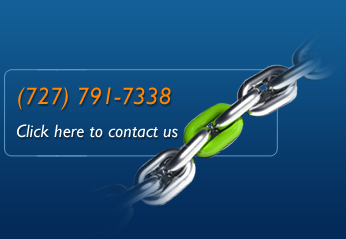 This is due to the fact that most of the ranking factors that generate a page 1 result are not on the website itself. Today a website is like the tail that wags the dog in that only 25% of the ranking factors are taken from the website itself. The other 75% comes from off-site properties such as blogs, social networks, and videos. That means that unless you are prepared to feed your blog once per week (or outsource the task), your social nets every day and shoot at least a video a month, the odds of your author page appearing on page 1 are slim to none. 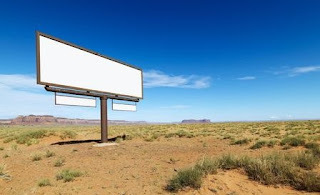 As I have pointed out to readers and clients alike, if you have the best blog in the world and nobody reads it all you have is a billboard in the desert. What this means is that there is an easy way and a hard way to create blog readership. The hard way is to go it alone in the pig-in-a-rut fashion where you diligently pound out blog after blog for week after week only to realize at the end of a year that you only have a couple hundred readers. (If we took that route with our WWW blog, we'd be lucky to be at the 10,000 pageview mark as opposed to knocking at the 1,000,000 mark. The question you have to ask yourself is if you look at book publishing as a hobby or as a money-making enterprise. If you opt for the former, then the pig-in-a-rut method could work for you. However, as a money-making venture it leaves a lot to be desired. If you want to sell thousands of books you need to up the ante. Just as with an online business, online booksellers need to advertise. This equates to spending money. Just as John Locke learned the hard way when he first delved into the self-publishing game, throwing money at the problem does not always deliver the desired result. Sure, you can run pay per click campaigns on the search engines, as well as on social networks and author portals. But what you have to understand is that in the pay-per-click arena, that is all that your money is going to buy you: a click. Not a purchase, nor a registration. In fact, unless your website, splash page, and/or blog is designed to generate a registration or sale, all you will find out in short order is that you can go through a pile of money with little to nothing to show for it. Again, this is why, just like savvy entrepreneurs, you really need to seek the advice and assistance of an online marketing professional before you blow your budget. While most neophyte business owners follow the point, shoot, aim school of marketing, a professional marketer will help you determine your ideal customers and which advertising media are most likely to engage them. Next they will create an environment designed to engage and convert this traffic. Only then will they begin to write copy and lay out a marketing plan that has a high probability of success. Advertising, while effective at creating an environment in which to sell your books, is neither the only nor even the best way to make a splash. If you really want to jump from obscurity to the bestseller list you are going to need the cooperation of the press. Face it, the quickest way to the hearts and minds of the reading public is by jumping onto the headlines or the morning news shows. Fortunately, there is a tried and true vehicle to help you do just that. It's called a press release. Less is more. Keep it brief. Click here to buy Carl's book. I could write a book on all the dos and don'ts of press release writing. Since you are going to have to spend money to have your press release distributed, I would advise you to talk to a marketing professional who has experience at writing and distributing press releases. Click here to learn more about how GBO can help you write and distribute your press releases. While there are a myriad of other elements that can help you create a brand in order to sell more books, the bottom line is that if you want to play with the big boys you have to start treating your books as your business. 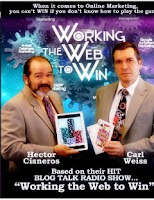 Carl Weiss is president of Working the Web to Win and publisher of GoodBooks.Online. He has also written hundreds of magazine articles and blogs, plus 5 books. How To Make A Profit From Your Passion! Dr. Willie Jolley and Wally Amos and YOU!